The Beekman Hotel is a classic New York institution, renowned for its’ architecture and moody vibes. 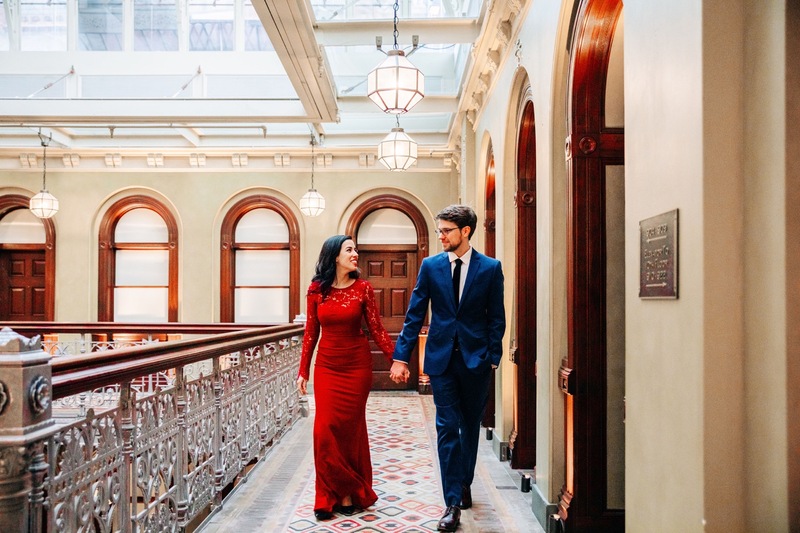 Fresh from their City Hall elopement, Nicole and Ross posted for intimate portraits at Beekman Hotel amidst their wedded bliss. Scroll down to see the images! Cinder and Co. is available to photograph maternity, newborn and engagement sessions throughout NYC. Our boutique photography studio is conveniently located in downtown Manhattan. We love to offer natural light photography on-location and incorporate the city’s backdrops. Our sessions are relaxed and enjoyable, so we can capture those perfect moments of genuine emotions. Please don’t hesitate to reach us anytime by email to schedule your portrait session. © 2019 Cinder & Co. All rights reserved.